We've been keeping businesses afloat for over 70 years with our nationwide, efficient deliveries of marine gas oil. At Crown Oil, marine gas oil (MGO or bunker fuel) can be bought in bulk quantities ranging from 500 – 100,000-litres upwards. 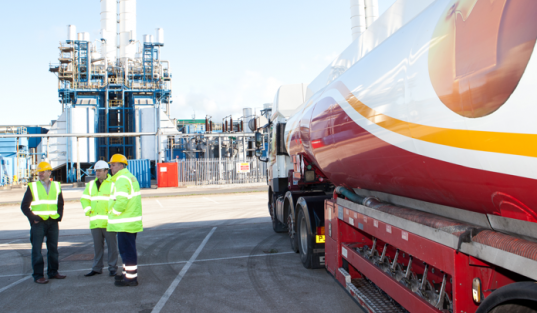 We’ve been distributing gas oil to UK marinas and dockyards, as a nationwide supplier, for over 70 years. This has given us an ocean of experience to help you get the best marine diesel prices and delivery options. What is marine gas oil? Marine gas oil (bunker fuel or bunker oil) is any type of diesel which is used in seagoing vessels. The term ‘bunker’ is used for a vessel’s or marina’s fuel storage tank, hence the name ‘bunker fuels’. Contact Crown Oil now on 0845 313 0845 to order your marine gas oil. Why choose Crown Oil for your marine gas oil? If your business is looking for a reliable marine gas oil supplier that is able to deliver anywhere in the UK, call us today on 0845 901 0124 to make an order, or request a quote or alternatively, fill in our quote form on this page. Are there any alternative names for marine gas oil? Oil in the marine industry does vary from one name to another and finding the right bunker fuel for your needs can sometimes seem quite tricky. As one of the UK’s leading bunker fuels suppliers, Crown Oil has created a short but helpful list of alternative names and abbreviations for marine oil. Bunker fuels not only vary by name but by quality so it’s always worth checking with us before you buy bunker fuel to ensure you’re getting the best marine diesel oil. What is happening to the marine gas oil prices? The cost of marine gas oil mainly depends on the volume of bunker fuel purchased. In comparison with other qualities of red diesel, it is generally a lower cost but that is because marine diesel oil is a lower quality compared to other gas oil designed for other purposes; like tractors and backup generators. With varied quality comes different bunker fuel oil prices, so make sure you’re getting the best fuel oil for your marine needs at Crown Oil. At any time, you can give us a call on 0845 313 0845 and speak to one of our marine gas oil specialists who can advise you on which bunker fuels to buy and when. Crown Oil is a nationwide supplier of fuels and lubricants including fuel and lubrication for marine use. This means that no matter where you are located in the UK, we can supply you with marine gas oil on the same day, next day or whenever you may require your oil. Our same day delivery is an emergency marine gas oil delivery service and is designed to supply you with marine fuel oil in just a matter of hours. As a leading marine oil supplier, we can offer the most competitively priced marine diesel followed by the best service in the UK. 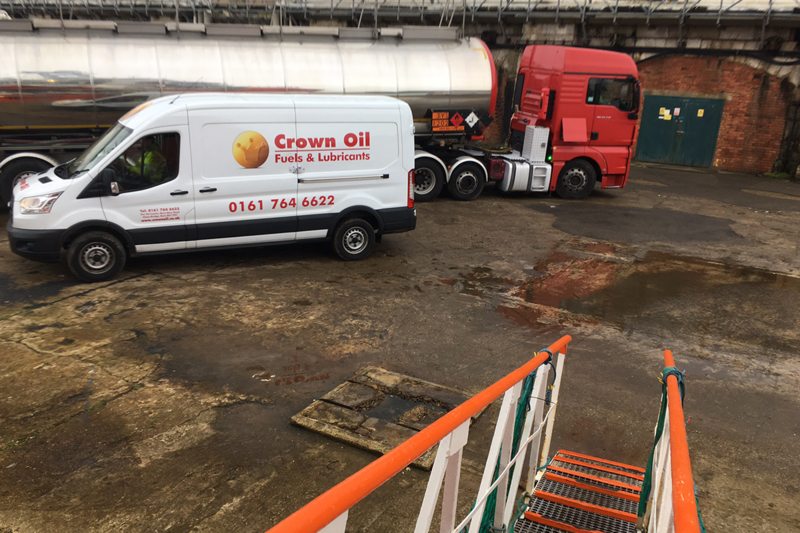 If you have fuel on your vessel that you want removing, or you need your tank cleaning, our environmental team offer tank cleaning and fuel uplift services that can handle everything for you. Call us now on 0845 313 0845 to purchase marine gas oil or find out more! 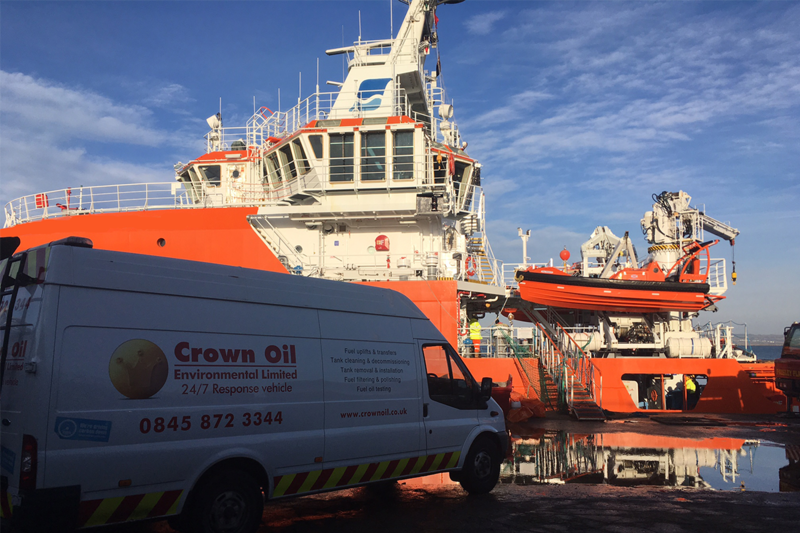 Here at Crown Oil, our environmental division also works closely with the marine industry, from tank cleaning, bilge cleaning and fuel uplifts. Visit our dedicated page to find out more.